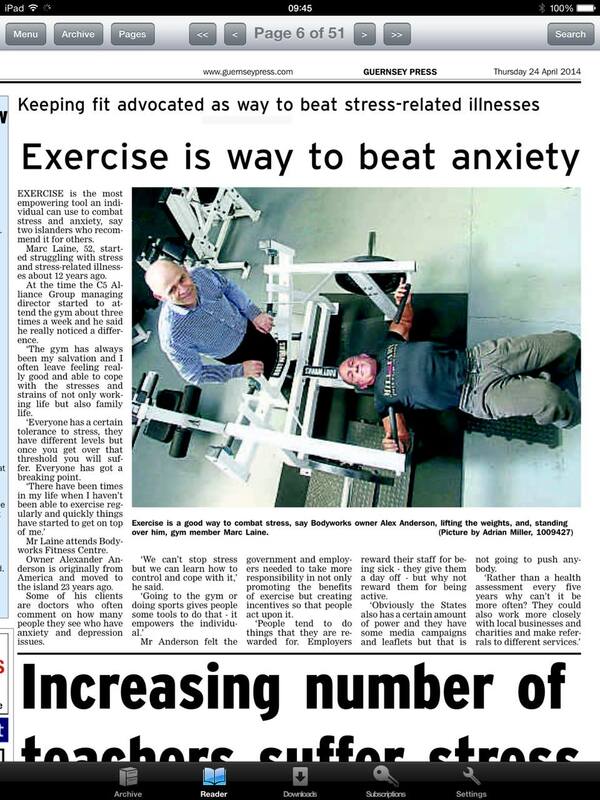 Press Coverage - BodyWorks: Just Get Fit. Posted on April 24, 2014 by BodyWorks Since 1994. Just Get Fit! I’ve spent most of my life in the Fitness Trade, in a lot of different roles, wearing a lot of different hats: starting out as a very unfit & fat high school kid looking for a way out, fitness trainer, nutritionist, competitive bodybuilder, to my current role as a gym owner and a populariser of better lifestyle choices. I’ve probably had far more time in the gym than out of it. It has always been a very useful tool for me with which to sort most things out and a way to leverage discipline that can usually be applied to the wide variety of problems that life has a habit of pitching at you. So, it is a rather nice thing to see an article in the Press today touching a little on the useful & practical aspects for the public of a more active and healthier lifestyle.